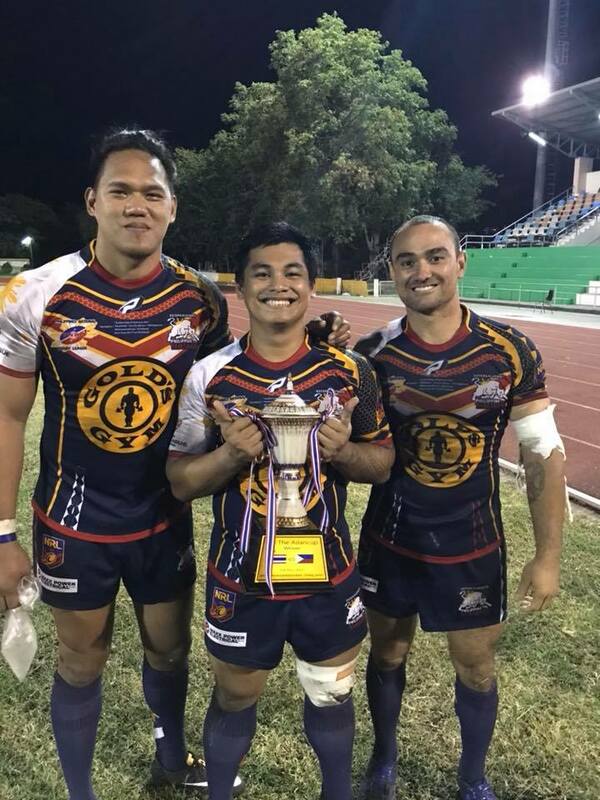 The Philippines National Rugby League (PNRL) national team, The Tamaraws travelled to Thailand last November 2017 and showed their might at the “Gathering of Rugby XIII Nations Tournament in Thailand and ended with a double victory against Hungary and Thailand. The games were held last November 5, 2017 at the Mahasarakham Institute of Sporting Excellence stadium, Thailand. The Tamaraws played their first match against Hungary’s national team the Bulls and won with a convincing score of 72 – 0. “Every player stood up to the occasion, I was very pleased with our defence, to keep Hungary scoreless shows how committed our players were for each other, Hungary had plenty of opportunities to score but we kept turning up for each other” said Arwin Marcus, PNRL head coach. “I thought our halves Sheedy and Russell really steered us perfectly around the paddock, it’s really hard to single out one player but Richard Goodwin was outstanding from fullback, he is just a great competitor,” he added. Two days later , on November 8, 2017, the Philippine team faced off with Thailand. This was also the 3rd Asian Cup match between the two countries. 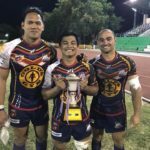 The Philippine Tamaraws repeated their dominance of the tournament winning the Asia Cup for the third time, 64-2. According to PNRL head coach, Arwin Marcus: “The mighty Tamaraws raced out of the gates taking an early lead in the first half leading 38-0, thanks to 3 tries to Will Grooms. We were very clinical in the first half, completing nearly all our sets, our forwards really set the platform, and all were outstanding tonight. Max Power and Steve Bernstrom led from the front giving our edge players plenty of attacking shots, Marc Russell and Will Grooms formed a great combination on our left edge”. 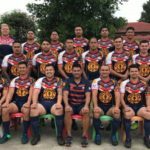 More Philippine Rugby League history was made at “The Gathering of Rugby XIII Nations Tournament” with local players from the Philippines participating in the matches. Manila Storm players, James Osias and Al Del Castillo Tesoro proudly made their international debut. 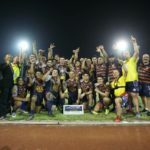 “The definite stand-out play of the night belonged to James Osias who made his debut alongside powerhouse front rower Al Tesoro Jr , both of whom became the first players selected out of our Estepa Elefante Cup competition in the Philippines. James bagged the last try of the night and his raw emotion after scoring was a scene that needed to be witnessed to capture how much it means to represent the Philippines” said Paul Sheedy, PNRL Vice President and Co-captain. (This was a totally new and different experience for me since I played alongside veterans. Their level of professionalism and respect can’t compare to the others. I admit that I struggled learning their plays since they were new to me. Their standard was high requiring strength and agility. I learnt everyday during the tour. My teammates were kind and accommodating to new players. And thanks for my kuyas’ patience. I learnt a lot from them and I will treasure the memories until I hang up my boots). 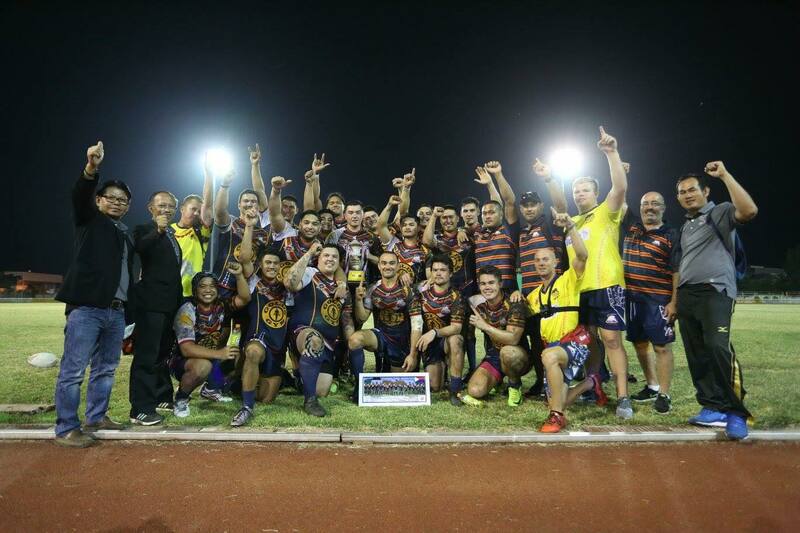 PNRL Vice President, Paul Sheedy (on the right of photo) extends his thanks to all their sponsors: Golds Gym Philippines, Max Power Electrical Sydney, Exerstend and all the wonderful supporters, and most especially, to the host nation, Thailand, for their warm hospitality and the opportunity to promote and develop Rugby League in their country and spread “the greatest game of all” in Asia. 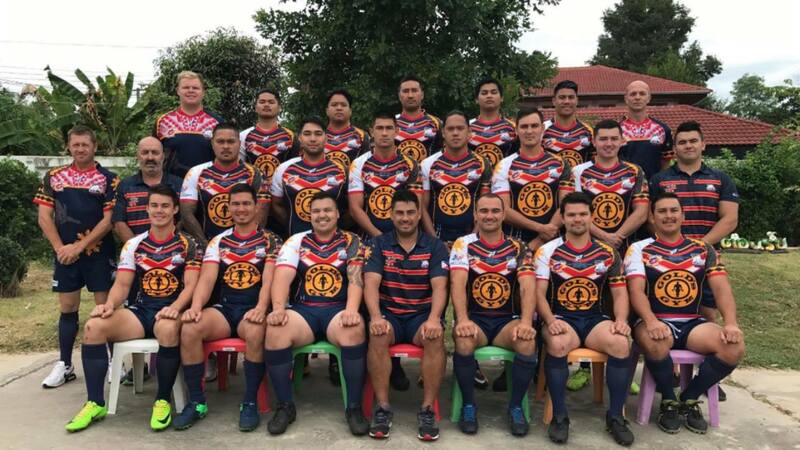 Blake Mackey (2 tries), Kevin Casinay (2 tries), Ned Stephenson (2 tries), Carl Cortez (2 tries), Marc Russell (1 try), Paul Sheedy (1 try), Carl Osasis (1 try), Odyssey Laderas (1 try), Richard Goodwin (1 try), Kevin Casinay (6 conversions), and Marc Russell (3 conversions). Williams Grooms (3 tries), Jhun Cortez (2 tries), Ned Stephenson (2 tries), Blake Mackey (1 try), Kevin Casinay (1 try), Paul Sheedy (1 try), Steve Bernstrom (1 try), Marc Russell (1 try), James Osias (1 try), Kevin Casinay (5 conversions) and Glenn Power (1 conversion).